What would the crucifixion have been like through the eyes of the repentant criminal who was crucified with Jesus? I’m no expert in the art of animé, but I was very moved by this short film. What is your reaction? On this day of the green, St. Patrick’s Day, I’m thinking of Saint Hildegard of Bingen’s idiosyncratic theological usage of ‘veriditas’ or greening. 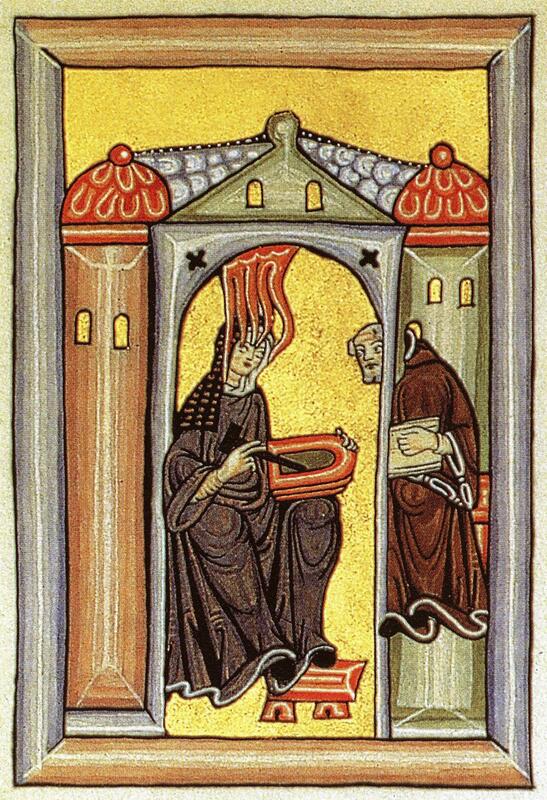 Hildegard was an amazing woman, read more about her here. Hildegard von Bingen self-portrait, manuscript illumination. Here’s some of her music and a link to an article about her use of this term. 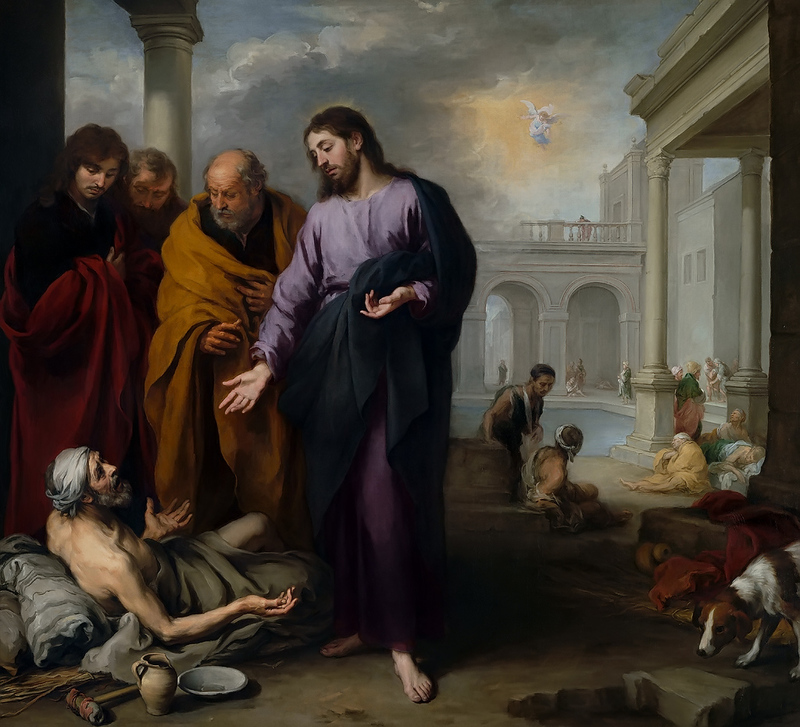 Christ Healing the Paralytic at the Pool of Bethesda, Bartolomé Esteban Murillo 1670, Oil on canvas 237 cm x 261 cm, National Gallery, London. 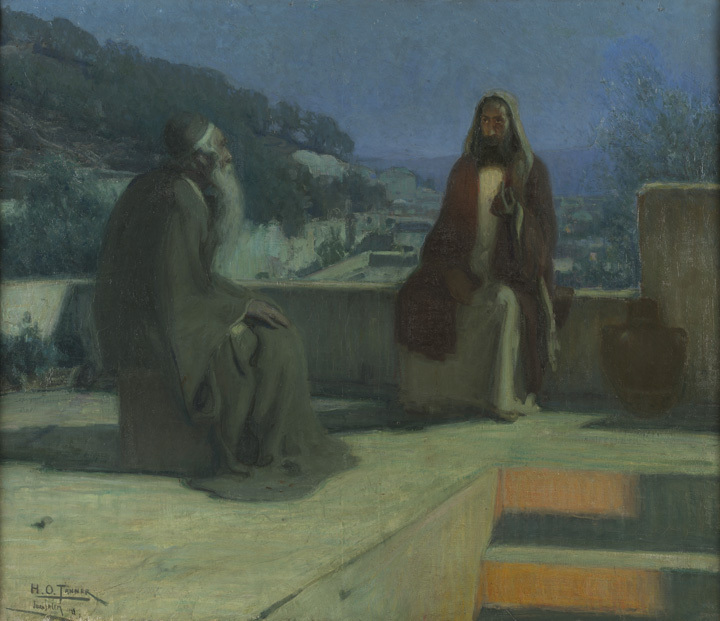 Immediately the man became well, took up his mat, and walked.Now that day was a sabbath.